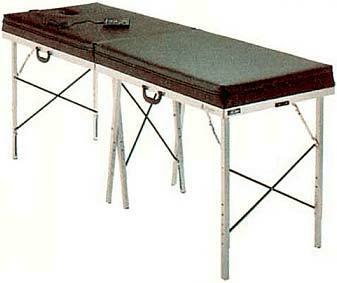 Store Home > Portable Massage Table w/adj. hgt. These Professional tables have been designed for Dentists, Physical Therapists, Chiropractors and Massage Therapists for use in the office or home. Portable Tables Models 041 and 042: Open: H 30", W 24", L 72", Folded: 24"H, 5"W, 35"L - Theyre comfortable, practical and professional! For the serious practitioner! Call for pricing and variations available!